Due to nesting Peregrine Falcons, the South Buttress (ballfield slabs) at West Rock State Park is temporarily closed to rock climbing. The Ragged Mountain Foundation urges hikers and climbers to avoid the South Buttress of West Rock State Park during this critical nesting period (likely March to early August). This includes the Overlook Area (White Streak area) and the Ballfield Slabs (Nickel & Dime, WR Crack area). This closure does not affect the Old Quarry Wall at this time. Notices will be posted at trailhead areas, online and near crag access locations. Please adhere to any marked route and trail closures posted by CT DEEP, New Haven Parks Recreation and Trees and the Ragged Mountain Foundation. According to State of Connecticut biologist, any disturbance that causes nest failure could be a violation of the federal Migratory Bird Treaty Act. Why Temporarily Close West Rock? 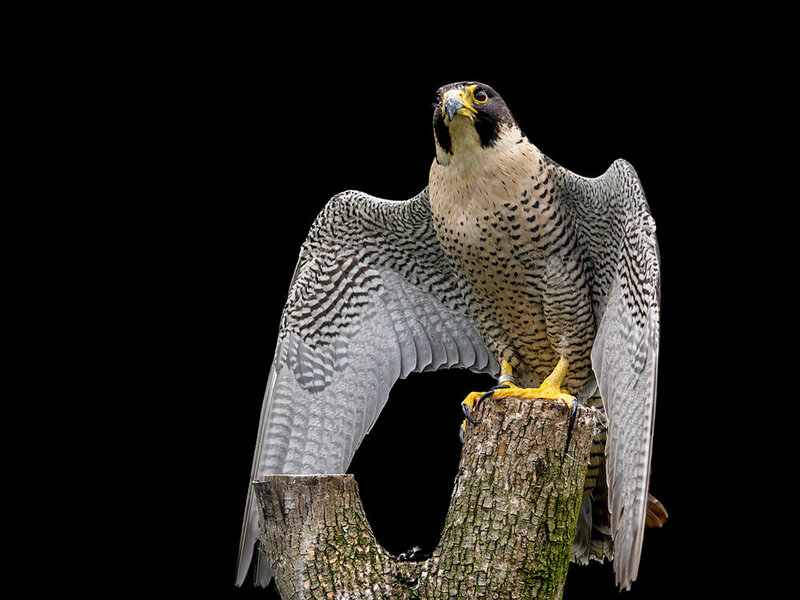 Peregrine Falcons are considered a State Threatened Species by the State of Connecticut and each spring these raptors return to the West Rock area for nesting. Falcons and other migratory birds use shallow depressions on ledges, cliffs and rock walls, often returning to the same site year after year to raise their young. Raptors are most vulnerable during their reproductive season and are easily stressed when humans are near their nests. If disturbed, adults may leave the nest making eggs and fledglings vulnerable to exposure and predators. Volunteer begin surveying nesting areas in March to determine which historic nest sites are active. By late March biologists can often determine which nest sites raptors have chosen to use and thus, which areas need to be temporarily closed. CT DEEP officials and biologists will monitor nesting activity throughout the season and keep the public informed of potential changes. The RMF will continue to post updates to the outdoor and climbing community as soon as CT DEEP is able to lift the closure, likely by August. RMF and the Access Fund are working together to establish a better working relationship with DEEP around raptor closures at West Rock. The climbing communities willingness to voluntarily refrain from climbing at West Rock will assist those efforts.